Paul Krugman, who once said that 9-11 could do some economic good never seems to astound me. He has company. Larry Summers believes in the broken window fallacy, period. 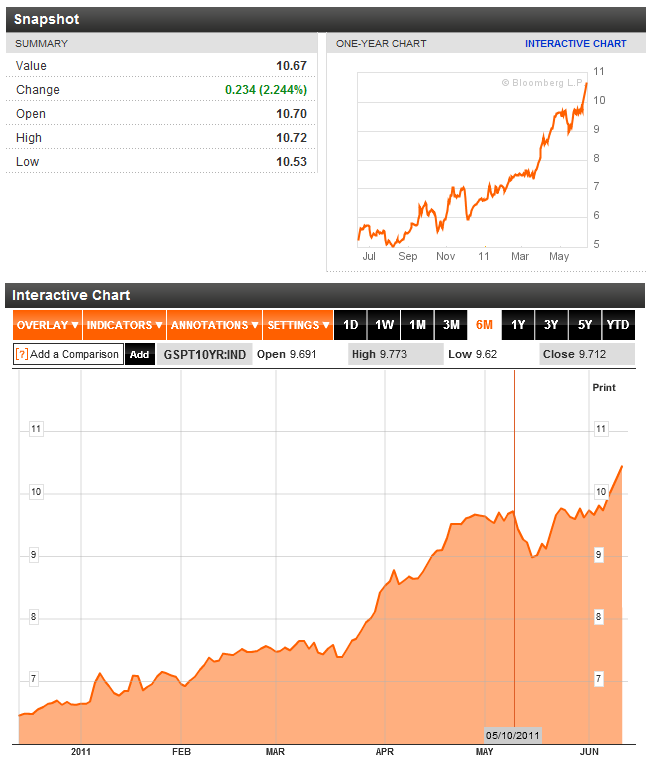 I recall Summers saying that the Japan earthquake may lead to temporary GDP increments. Firstly, this was a tragedy and our thoughts are with the people who have suffered in this quake, but this is the problem when we have a distorted view of what economic growth is. Indiscriminate spending does not contribute to economic growth. One has to recognise that the spending that will ensue to rebuild Japan will not contribute to the productive capacity of the nation; rebuilding Japan will require increased borrowing from Japanese citizens to rebuild buildings and infrastruture that were already functioning and efficient. So this will not contribute to GDP growth but it will add to their structural deficit and heighten their bond market awakening. Have you got your BSc in Agriculture and Farming yet? Legendary investor and author, Jimmy Rogers, spends 40 minutes at a Dutch University in a somewhat unstructured and rather peculiar format. Skip to 8.50 where Rogers begins the show. If you want the long and the short of it then basically debt matters and we have 5000 years of recorded history to affirm that. It seems that we have a dichotomy of beliefs: those who are aware of the deficit and the urgency required in dealing with it, and those who deny it or by their actions negate an acknowledgment of it. It is naive to assess debt purely in a historical context and to assume that if we have maintained similar debt-to-GDP ratios prior, we can therefore withstand high levels of indebtedness again, and again. This is making a wholly wrongful assumption that the micro and macro environment has remained constant. Adam Smith stated that nations trade with one another to economise on different comparative advantages and that global trade is a reflection of that. Seismic shifts in the world economy have damaged that idyllic thesis. 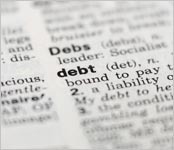 Debt historically was tempered by enduring the pain and affliction that accompanied it. The payment of high interest rates instituted discipline. Our liberal attitude towards debt and the pedestrian pace with which we are dealing with it infers that we view it more as a longer term issue rather than an immediate one. It seems almost ironic that Wall St and Main St seem to view everything else in the short term, but have a more relaxed and long-term perspective on indebtedness. In order to see how much debt a nation can withstand history does offer some useful parameters. Rogoff and Reinhardt suggest that nations with above 90% debt-to-GDP ratios are highly more susceptible to economic collapse and turmoil. GDP as a measure of economic output is fraught with inaccuracies and composition errors. A better measure is to either discount those errors, which in itself becomes more of a subjective exercise, or more prudently just to look at the revenues and expenses of a nation. Whatever measure is employed current debt burdens have now become clinical. The almost unbelievable irony is that interest rates remain unchecked at historical lows in an environment of deep stimulus, and where the Fed is purchasing the overwhelming majority of treasuries. We know debt matters and we have 5000 years of recorded history to affirm that. We see events in Ireland, Spain, Greece and Portugal but we think because we are the USA or hold the world reserve currency we have acquired some sort of divine favour to borrow, spend and consume while the rest of the world saves, invests and forgoes current consumption; and somehow that equates to economic progress and growth. This is what we do. The disconnect and cognitive dissonance of it all is truly an enigma. Clearly while the fundamentals remain awful for the US economy everything is about timing and perception. Something holds values because we perceive it to hold value, but once that blanket perception changes, we can now see in spite of our previously anchored views, that things have changed; seeing is different from hearing. The idea of government and the state being different to the common man or woman, or somehow being intrinsically distinctive, is one of the most elegant frauds being perpetuated today; a true disconnect. The belief that we cannot make the same baseline comparisons to government debt in the same way as businesses for example, or that we cannot view deficits as losses as governments are not businesses, helps to sustain incompetent financial behaviour and practices. It is reminiscent of those preachers who hold their masses and claim that the individual by themselves cannot understand God’s word; you need to go through Mr Holy and he is holier than thou and the monopoly of truth. Prior to investment banking I had a career in bankruptcy and corporate insolvency. I am struggling to find out why the papers have not been filed against USA Inc. It is truly remarkable that Gordon Brown has any influence left to impact economics and finance on a domestic or global basis. He will take up the post of chairman of the Policy and Initiatives Co-ordination Board at the World Economic Forum. 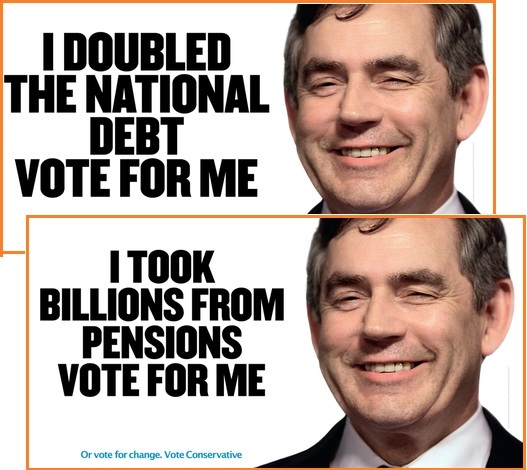 Tory deputy chairman Michael Fallon said Mr Brown has yet to face up to the legacy of debt that he bequeathed to taxpayers. ‘This is a case of putting the arsonist in charge of the fire station,’ he said.